The four-stage rocket was successful in deploying 30 of its payloads under 25 minutes after launch and then embarked on a quest to lower its orbit to dispatch the remaining satellite closer to the planet and earn a check-mark behind its 42nd mission. PSLV lifted off from the First Launch Pad at the Satish Dhawan Space Center at 3:59 UTC on Friday, thundering into cloudy skies under the power of its massive core stage and six Solid Rocket Boosters. Navigating around the island of Sri Lanka, PSLV made a right-hand turn to reach the proper Sun Synchronous Orbit and an audible sigh of relief was breathed when the rocket’s payload fairing separated – marking the mission moving past the point of failure on the rocket’s most recent flight. Completing its guided turn while the second stage was burning its hypergolic-fueled Vikas engine, PSLV then fired its third stage and received a final push into a 500-Kilometer orbit from the two-engine fourth stage, setting in motion a fast-paced sequence to deploy all but one of the payloads riding on the mission – ranging from the 710-Kilogram main passenger, over a group of five micro- and nanosatellites to 25 CubeSats between 6 and 0.25 Units in size. 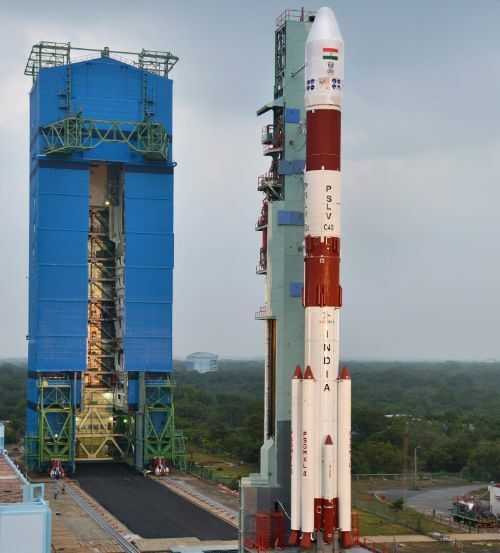 Friday’s mission marked PSLV’s comeback after standing down since a failed mission in August that ended an 18-year streak of 36 successful missions by the Indian workhorse. Launching with a replacement satellite for India’s Regional Navigation Satellite System, PSLV failed to separate its payload fairing and limped into orbit with the additional mass of the fairing remaining attached to the fourth stage – causing a major performance shortfall and trapping the 1,425-Kilogram IRNSS-1H satellite inside the fairing after it separated from the fourth stage. The failure came as a surprise as the PSLV payload fairing and is larger variations on the GLSV rocket had never caused trouble in the past. As part of its investigation, ISRO zeroed in on a faulty rubber bellows as the root cause for the mishap: to separate the fairing, a mild detonating charge is fired and creates gas that inflates the bellows which, as a result, exerts force on the interface between the two fairing halves in order to shear the rivets joining the two halves and pushing them apart for separation. Because the bellows was not able to hold pressure, fairing separation was not possible. Corrective action taken by ISRO focused on manufacturing quality and more rigorous quality control. 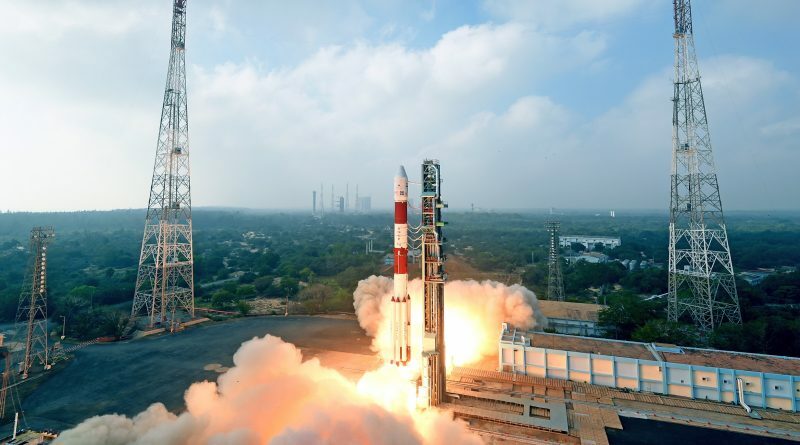 Since no design or major procedural changes were needed, the stand-down in PSLV launch operations was fairly brief and the C40 mission slipped only two months from November to January. 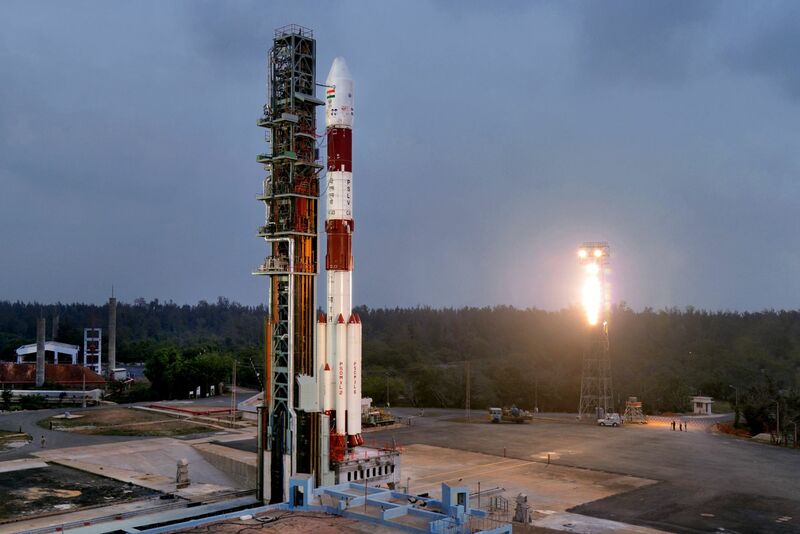 The C40 campaign itself, needing only six and a half weeks from the start of launch vehicle assembly to liftoff, was one of the fastest-ever for PSLV, illustrating the overall confidence in the rocket’s reliability. Hidden under the rocket’s eight-meter tall payload fairing was a stacked payload configuration with a combined mass of 1,323 Kilograms for all 31 satellites. Cartosat-2F, the primary passenger of the mission, enjoyed its ride into orbit atop the stack, sitting on the DLA-U payload adapter while the majority of micro/nano satellites and the various CubeSat deployers resided underneath the DLA with additional payload accommodations on the Stage 4 avionics ring. CartoSat-2F, only identified as a ‘CartoSat-2 Series Satellite’ by the Indian Space Research Organization, is India’s seventh CartoSat Earth-imaging satellite and the fourth to launch in a period of one and a half years, reinforcing the country’s Earth-imaging capabilities both for military reconnaissance and civilian applications. 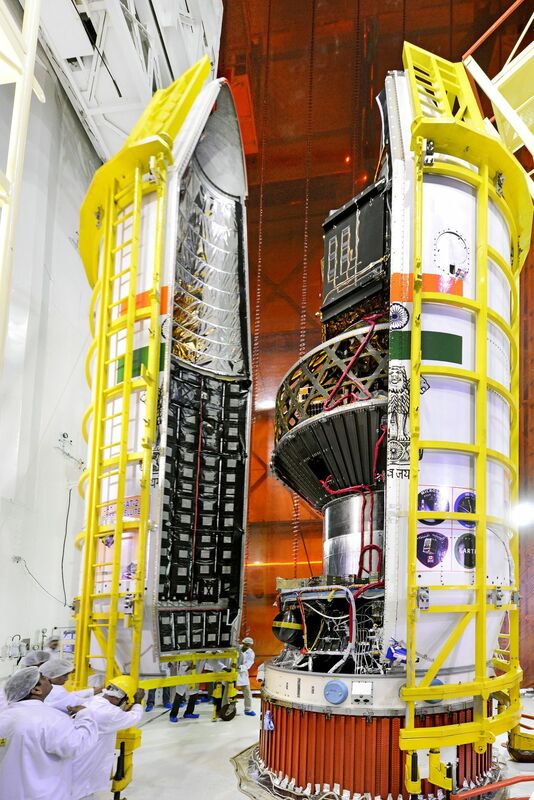 Standing 2.4 meters tall, CartoSat-2F hosts a sharply-eyed instrument comprising a 70-centimeter telescope and a pair of detector modules to collect panchromatic black-and-white imagery with a ground resolution of 0.6 meters and multi-band color images at a two-meter resolution. 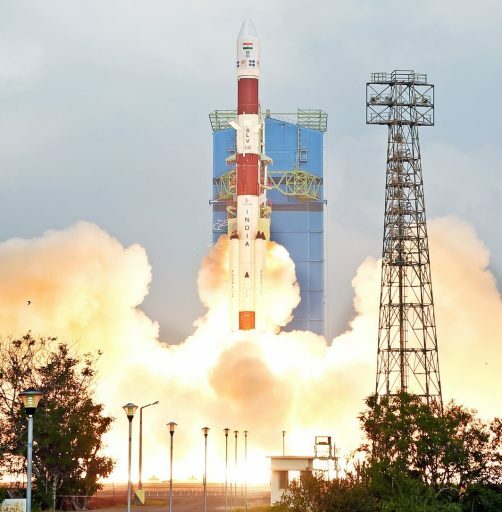 The other two Indian satellites on Friday’s mission were INS-1C, the third flight of the Indian Nano Satellite platform, and Microsat-TD, an experimental Earth observation mission setting sail for a low operational orbit to demonstrate the increase in spatial resolution achievable by operating imaging satellites at lower orbital altitudes. 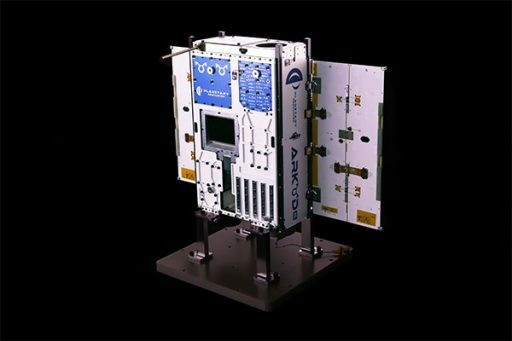 Weighing in at 11 Kilograms, INS-1C continues demonstrating the INS satellite platform that is envisioned to provide opportunities for developing countries to fly payloads into space. 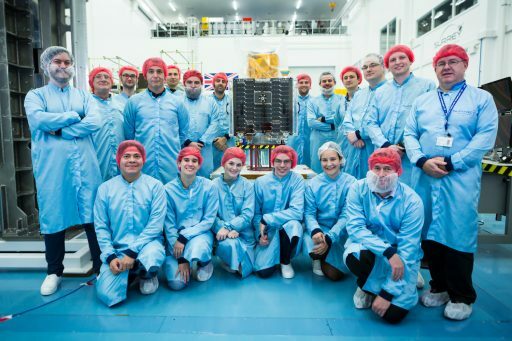 The international rideshare payload flying on Friday was made up of three microsatellites, two built-in the UK and one from Finland, while the remaining 25 payloads complied with the CubeSat form factor and were launched in a number of CubeSat deployers. 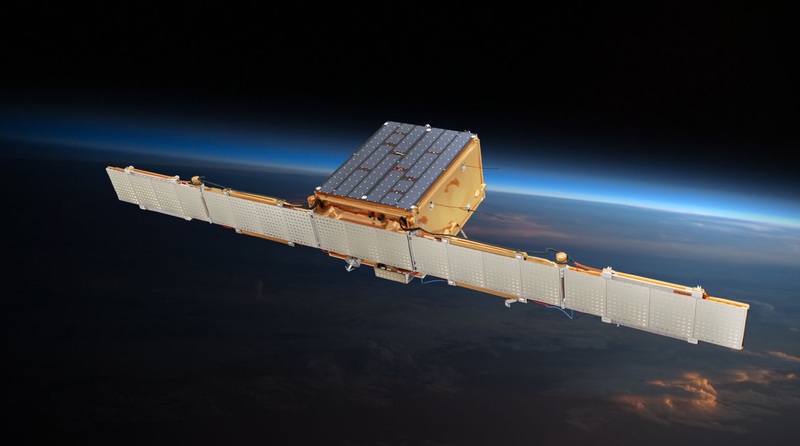 The two UK-built microsatellites delivered by PSLV are Carbonite-2 and Telesat LEO-1, both acting as prototypes for future constellation missions with Carbonite-2 paving the way for the Earth-i high-resolution video satellite constellation set for deployment in 2019 and LEO-1 serving as a demonstrator for Telesat’s planned Low Earth Orbit communications architecture, demonstrating low-latency communications and testing out the capabilities of the satellite platform. The remaining microsatellite is the ICEYE X1 prototype for the Finnish ICEYE Synthetic Aperture Radar constellation that aims to launch three prototypes this year before moving into deployment of an initial constellation of six satellites to collect medium-resolution radar images with high-revisit coverage for various commercial applications including sea ice monitoring. 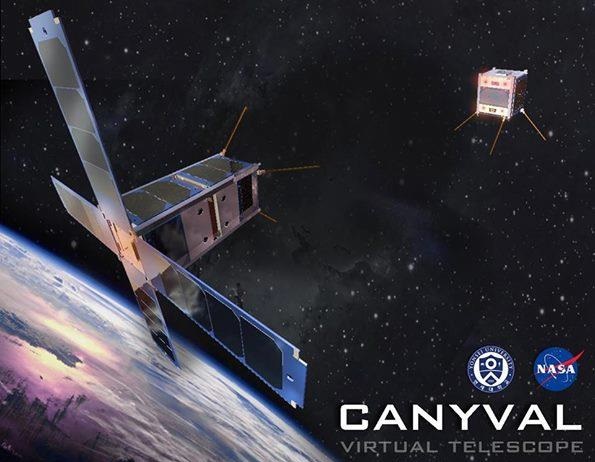 The CubeSats on the C40 mission supported existing operational constellation projects from various operators but also included one-off missions for science and technology demonstrations as well as university CubeSats. Planet Labs and Spire Global, both based in San Francisco, each had four satellites on this mission to reinforce their CubeSat Earth-imaging and weather/ship-tracking constellations which represent the two longest-operating CubeSat constellations. The GeoOptics CICERO 7 satellite joins a constellation of 6U CubeSats outfitted with GPS and Galileo global satellite navigation systems for atmospheric occultation measurements to collect weather data and detection of backscattered signals for ocean/ice surface properties. It is the fifth CICERO satellite to reach orbit, though there have been reports that three constellation craft launched in a July 2017 Soyuz cluster mission did not reach operational status after deployment. A similar fate was shared by AstroDigital’s Landmapper constellation that launched two satellites on the same Soyuz mission both of which failed shortly after launch. Another two were lost in the November 2017 Soyuz failure, making Corvus-BC3 on the PSLV C40 mission the first LandMapper constellation craft with a reasonable chance of reaching an operational stage. 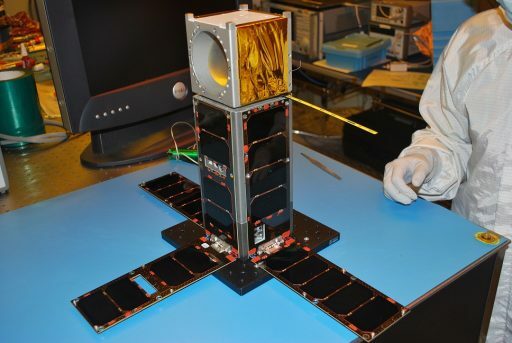 The French PicSat mission outfitted a 3U CubeSat with a high-precision interferometric instrument that could lay the foundation for a future constellation of Exoplanet-hunting CubeSats that could enable continuous multi-point observations impossible to achieve through ground-based assets or high-cost flagship satellite missions. “Tom and Jerry” – a 2U and 1U CubeSat Combo flying under the CANYVAL-X project, will become the first to test out whether satellites can be aligned along an optical axis to form a virtual telescope to open up possibilities for future astrophysics missions. Four South Korean CubeSats were part of Friday’s mission: CNUSail-1 will test out a 2 x 2-meter deployable sail that could double as a solar sail propulsion device and drag sail deorbit system; SIGMA studies space radiation and ultra-low frequency waves in Earth’s ionosphere; KAUSAT 5 is a technical demonstrator outfitted with an infrared imager; and the smallest of the group, STEP Cube Lab packs five innovative technology demonstrations into a 10 x 10 x 10-centimeter satellite. 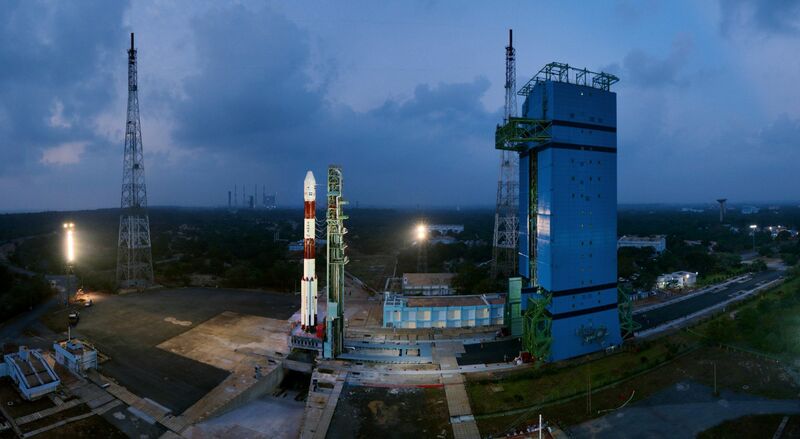 PSLV, India’s flagship orbital launch vehicle since the 1990s, enjoyed a smooth 28-hour countdown ahead of a 9:29 a.m. local time liftoff on Friday. Burning 1,600 Kilograms of propellant per second, PSLV thundered off powered by its massive solid-fueled third stage and four of its six Solid Rocket Boosters, the other two joining 25 seconds into the flight to increase the rocket’s thrust to 803 metric ton-force. 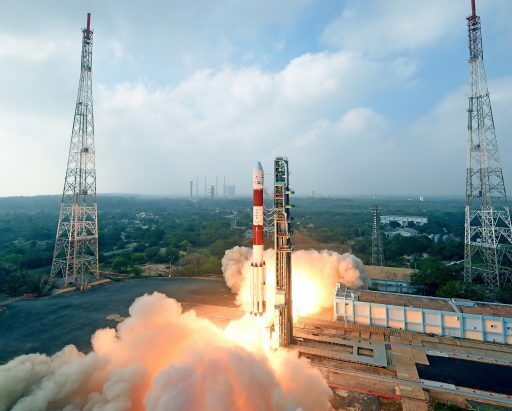 As is customary for Sun Synchronous Missions out of Satish Dhawan, PSLV flew a Dogleg Trajectory – initially heading south east to clear the island of Sri Lanka before making a guided turn to fly south west to reach the planned orbital inclination of 97.47 degrees. PSLV entered closed loop steering during the second stage burn to dynamically adjust its flight profile based on measured navigation data. The two fairing halves dropped away two minutes and 32 seconds into the mission when PSLV had passed 115 Kilometers in altitude and the hypergolic-fueled second stage handed off to PS3 at 262 seconds with the third stage lighting up its solid rocket motor moments later to generate 25 metric tons of thrust for a 113-second burn. Upon third stage tail-off, the vehicle completed two minutes of coasting before dropping the PS3 and firing up the twin L-2-5 engines of PS4 that fired for 492.5 seconds with a thrust of 1,500 Kilogram-force, burning over two metric tons of self-igniting propellants. Injection was reported to be on target, with an orbit of 502.9 by 505.1 Kilometers, 97.47° shown on Mission Control displays after the fourth stage shut down its engine 16 minutes and 37 seconds into flight. Over the next seven minutes, PS4 successfully deployed all but one of its payloads and ISRO confirmed that separation signals were received for all of the satellites that were to be deployed. ISRO’s Microsat-TD, only called “Microsatellite” in official documents, remained attached to the PS4 stage which was tasked with re-lighting twice at T+58 and T+104 minutes to drop its orbital altitude and send the ~120-Kilogram satellite on its way into a 359-Kilometer orbit. Another braking burn of the PS4 stage at the T+2-hour mark was to further lower its orbit in order to speed up its re-entry.